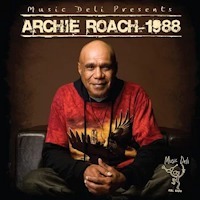 In November 2012, Archie Roach walked on-stage at the Playhouse Theatre, Arts Centre Melbourne, for the Australasian World Music Expo. And so began his extraordinary return to the concert stage. With a thirteen-piece band and ten-voice gospel choir, Archie launched Into The Bloodstream, his first album of new music in five years. In the two years preceding the release, the singer faced unimaginable challenges, including a stroke, lung cancer and the loss of his partner in life and in music, Ruby Hunter. Hailed by many as a rebirth, Into The Bloodstream was acclaimed as his strongest in years and Disc 1 of this collection combines live recordings from both the Arts Centre Melbourne concert in November 2012 and from the State Theatre for the Sydney Festival in January 2013. Then in 2016 Archie made another triumphant record with a title that resonated everywhere – Let Love Rule – entirely written around the concept of love, “a willingness to love all people”. The Let Love Rule concert was recorded live in May 2017 at the inaugural Yirramboi First Nations Arts Festival at the Playhouse Theatre, Arts Centre Melbourne, a concert that had audiences mesmerised as you will hear on Disc 2, and featured the sublime voices of both the Dhungala Children’s Choir and Short Black Opera. Then in May 2018 the beloved and award-winning Australian trio Tiddas reformed especially to honour the unearthing of Archie’s new album, Dancing With My Spirit, a pre-production “demo” album recorded over two decades earlier by producer/musician Jen Anderson that had been shelved and virtually forgotten. This album saw Archie exploring his spirituality and showcased the sublime voices of Archie and Tiddas - Amy Saunders, Lou Bennett and Sally Dastey. The Dancing With My Spirit concert on Disc 3 was recorded at their Hamer Hall performance at Arts Centre Melbourne on May 6th 2018. It’s hard to believe that Dancing With My Spirit was recorded nearly a quarter of a century ago, and since that time, for a variety of reasons, has been sitting ‘unreleased’ on a shelf in my studio. The album contains a gift of inspired songs written by Archie, and brought to life during pre-production by the talented musicians who performed on it – Bruce Haymes (keyboards), Dave Steel (guitars), Stuart Speed (bass) and Archie Cuthbertson (drums). But the songs truly entered another dimension when the Tiddas came to the studio and added their gorgeous, bold harmonies to the mix. The combination of these 3 women and Archie singing together created a magic that’s rare and precious, and I consider myself extremely fortunate to have witnessed this creation. I suppose it’s just that Dancing With My Spirit has been waiting for the right time to reveal itself to the public. That time has now come, heralded by the Tiddas’ announcement that they are reforming especially to sing with Archie once more, and to showcase the songs from the album via series of performances around Australia. Needless to say I’m absolutely thrilled at this turn of events – thrilled that a recording I truly believe in is finally being released, thrilled that the Tiddas are finally returning to the stage, and totally thrilled to be involved as producer of the album and one of the performing musicians in these upcoming shows. Some things are truly worth waiting for..
A classic and rare interview of Archie and Looking For Butter Boy producer, Malcolm Burn talk about the album over 20 years ago. The album, Archie's third, was recorded on his mother's ancestral lands in southwest Victoria and went on to win multiple awards.